Morning, lovelies! It’s time for yet another Goan beach wedding here on MWP! Peter is from Singapore, while Harsha is a pretty Sindhi girl from India. They met in the US for the first time, and that’s where their sweet love story began! As much as I find destination weddings irresistible, I have a special love for beautiful toes-in-the-sand beach ceremonies in Goa! And I love today’s beautiful and personal celebration of Harsha and Peter, which brings together everything we love about Goa, including an absolutely stunning venue, Zuri White Sands in Varca. But there’s another reason why I adore this wedding. I have a strong faith in destiny. Like they say in Bollywood, “someone, somewhere is made just for you!”. I believe in serendipity. The whole idea of life being a journey and how sometimes random things conspire to point in a particular direction. It’s an amazing feeling when that happens, and I couldn’t help being reminded of that when I saw today’s couple’s ‘how we met’ story in their wedding video, which really is like a journey of signs. I have specially featured the video in the next post for you guys to know more about this wonderful couple and how they met for the first time, stranded on a highway in California!!! Just like all love stories end in a celebration, Harsha and Peter ended this chapter in a wonderful wedding at Zuri. As wedding planners who specialize in destination weddings in Goa, we often plan weddings at South Goan resorts like Zuri. We love Zuri White Sands, as the resort is in true sense of the word a tropical haven! It has a huge meandering swimming pool that stretches along the entire length of the resort and Zuri even has its own private and secluded beach! It’s also the perfect place for a uber chic wedding, and it was the ideal choice for the lovely Harsha and Peter, for their Christian ceremony followed by a Sindhi wedding in Goa. Harsha and Peter’s wedding was a joyous affair, bringing together family and friends from two countries in an incredible celebration. 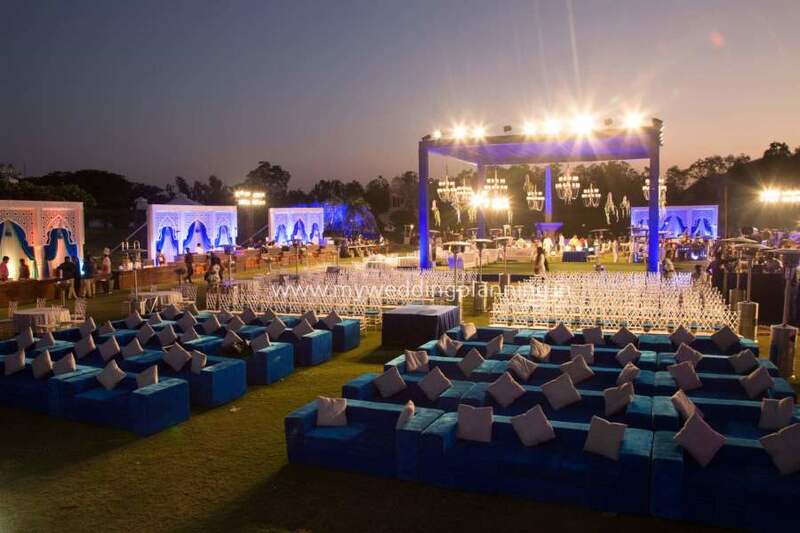 Their guests joined the couple for tropical weekend getaway, and a team of talented wedding pros pulled everything together, headed by Ankit Bhargava, a popular wedding planner in Goa. 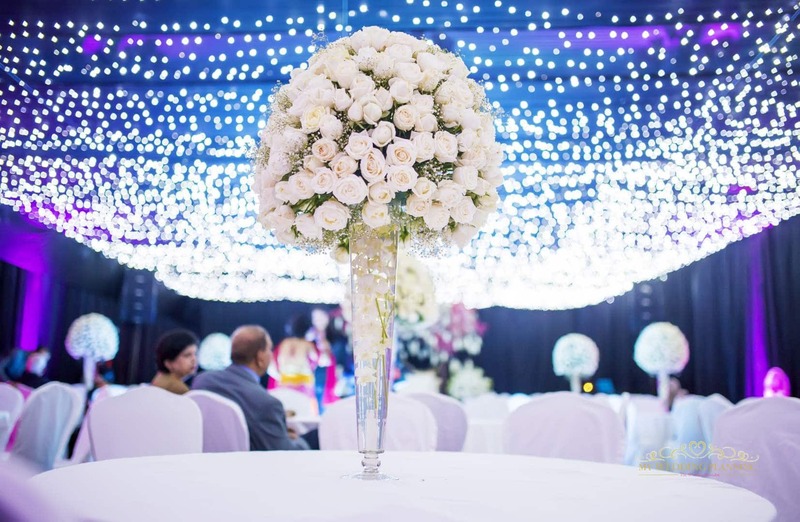 Amour Tales photography has done a brilliant job capturing such lovely images of the wedding! It was so hard to narrow down on Harsha’s beautiful photos, from an elegant dress for her Christian wedding to the dreamy pink lehenga for her Sindhi wedding. I admire the simplicity of the wedding and the gracious decor that formed a backdrop to this festival of love! The blissful couple, happy family and jubilant guests are the heartbeats of this cheerful wedding. The amazing all girls team of Amour Tales Photography was there to capture the beautiful moments. Now let’s head to their gorgeous Indian wedding. Harsha changes into a lovely pink lehenga with gold and silver detailing and Peter matches her perfectly in a Maroon sherwani! The Baraat pictures are so much fun! It must have been quite amusing to explain out Indian traditions to the groom and his family, but I guess the bride has done an awesome job on that front as well! Hope you liked this Goan wedding feature. To know more about this gorgeous couple and their wedding, be back tomorrow for their wedding film! PS: if you want to see more, make sure you watch the wedding video coming up tomorrow, it’s totally worth watching! So much loveliness.